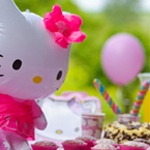 For everyone that loves Hello Kitty here’s some fun ideas for your birthday party. 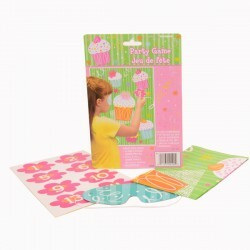 We’ve got games, crafts and activities to help your party be the best ever! 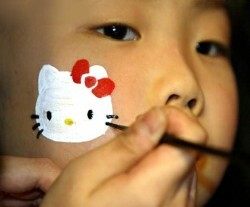 Print out Hello Kitty Bows or get the children to make and colour them. Then hide them all over the party venue so the party goers can hunt them out in return for a prize or little treat. 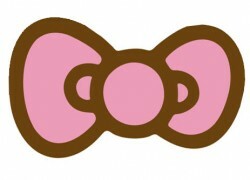 Once they have found the bows use some double sided tape to use the bows as party badges! Children sit in a circle or on chairs. Blindfold one child and give them a cushion. Spin them around a few times, don’t make them too dizzy!! The children must sit as quietly as possible, the blindfolded player must find a child, sit on her lap with the cushion and call out ‘Meow Cat Meow’. The child makes a meowing noise and the blindfolded child then has to guess who he is sitting on. If the blindfolded player correctly guesses whose lap she is sitting on, she changes places with her. Continue playing until everyone has had a turn. There’s a couple of ways to play the famous cat game. 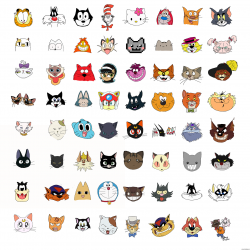 Either put pictures of famous cats up and get the kids to see how many they can recognize, or just get the kids to name as many famous cats as they can. 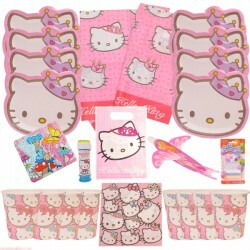 Hello Kitty loves cupcakes so why not play a game she would love. 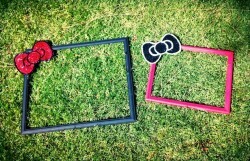 You can find it here at the BoxedUpParty website, check out our other party supplies too! 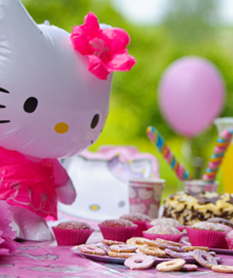 I love these ideas for making some super cute Hello Kitty memories of your special day. Use picture frames for an easy photo booth! 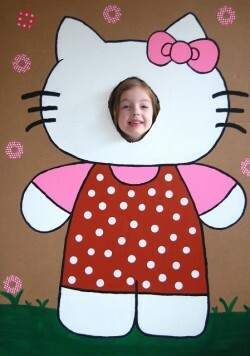 Or maybe go a little further with a photo booth like this one. 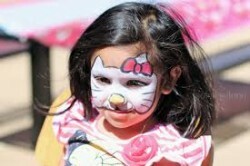 It’s always a treat to have your face painted at a party. For younger children or as an easy activity to put out while the children are arriving, colouring pages are always a winner. 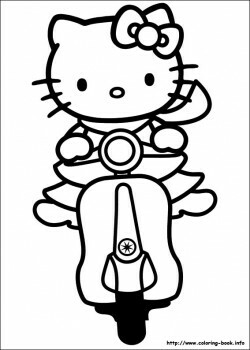 Find more Hello Kitty colouring pages from coloring-book.info. 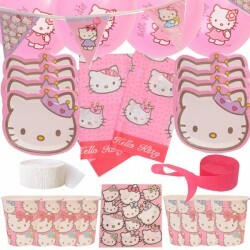 Do some easy crafts by using Hello Kitty stickers. Decorate tiaras, jewellery boxes or whatever else takes your fancy! 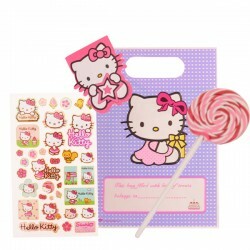 Don’t forget we have some great Hello Kitty party kits and filled party bags for you to buy on the BoxedUpParty Hello Kitty Party pages. Take a look today.